Thank you so much, Ms. Stacy for letting me join in. HOPE you have a great weekend!!! 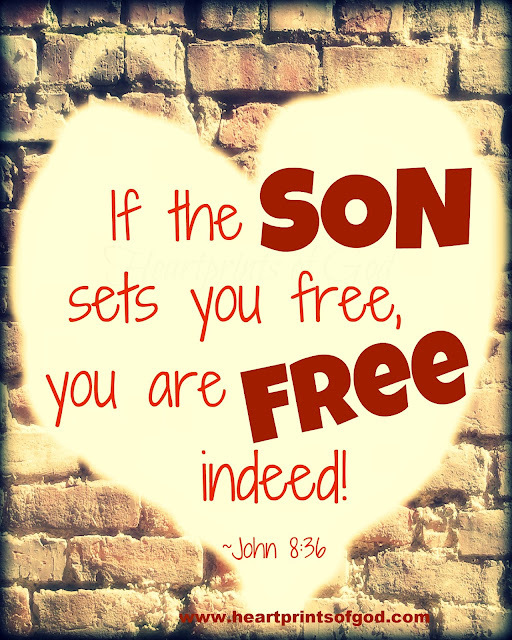 Praise God that we have true freedom -- from sin, death and hell-- in Christ Jesus! Wonderful verse! God's wants to remind us of our true freedom...check out Joan's post over at Reflections of His Grace (http://www.reflectionsofhisgrace.com/). God is so good!! !